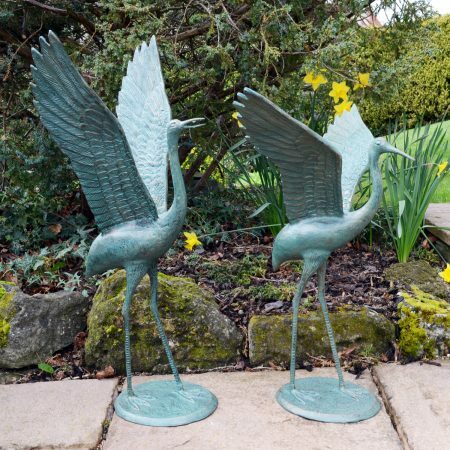 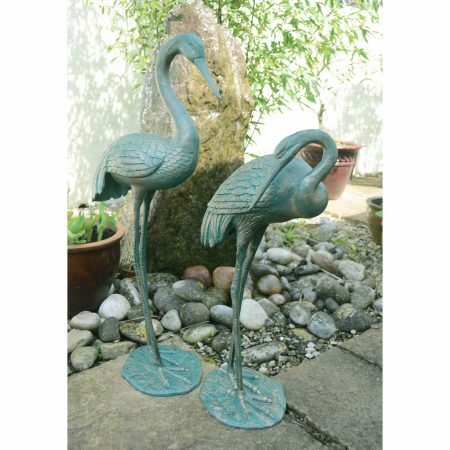 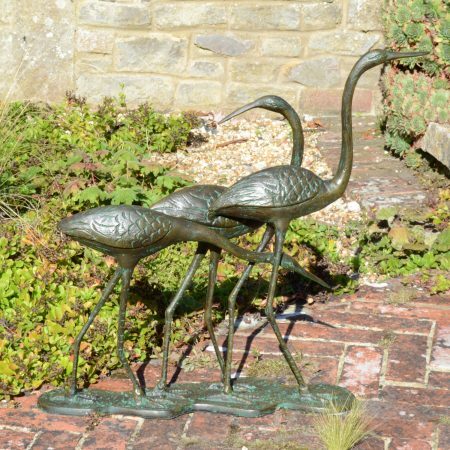 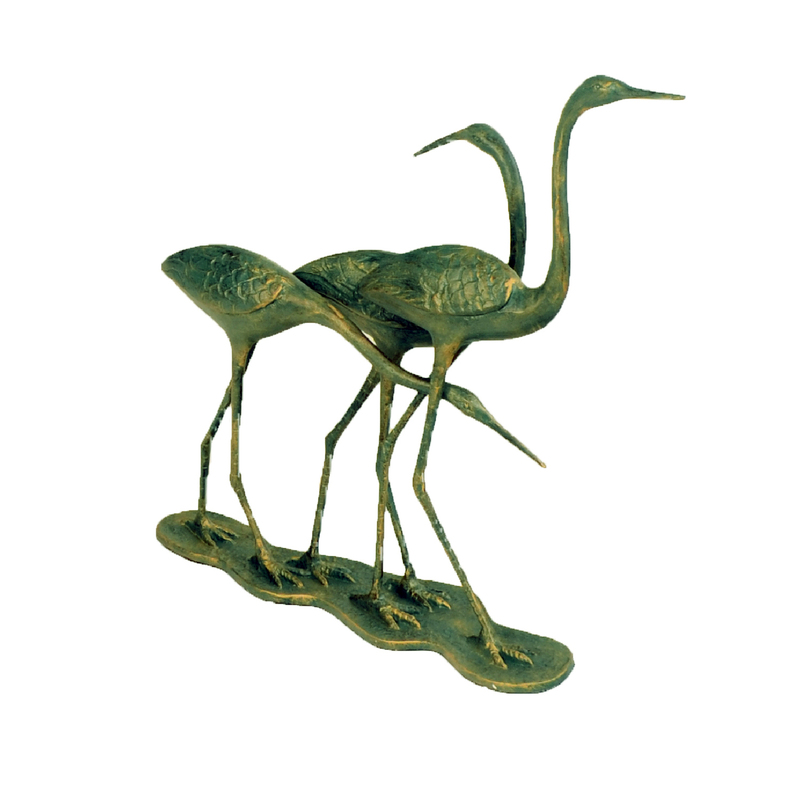 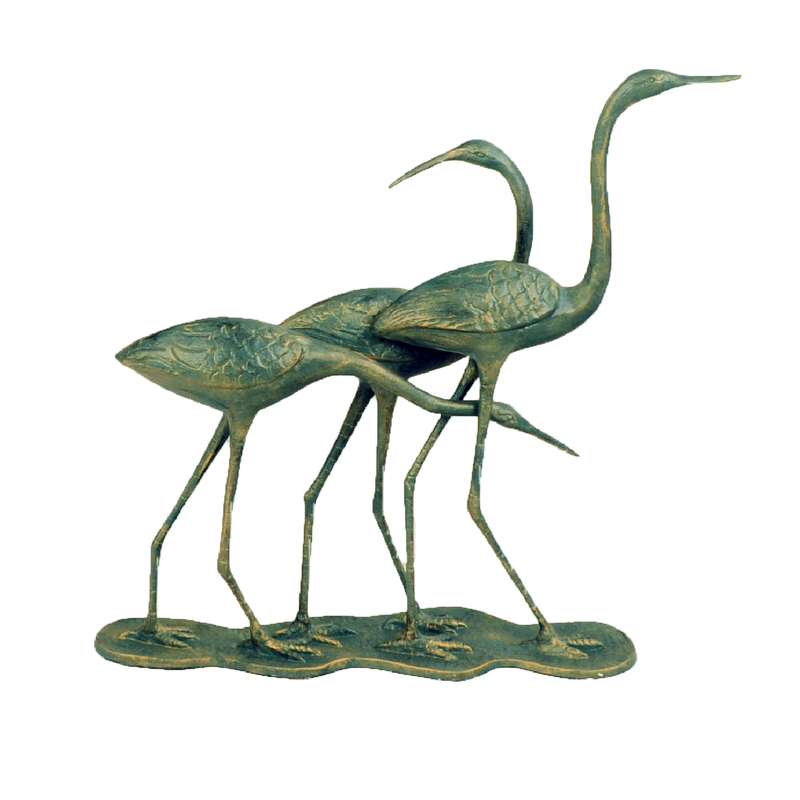 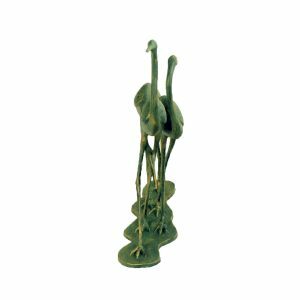 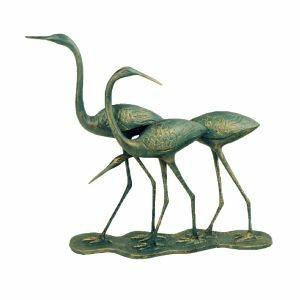 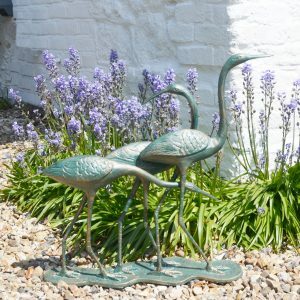 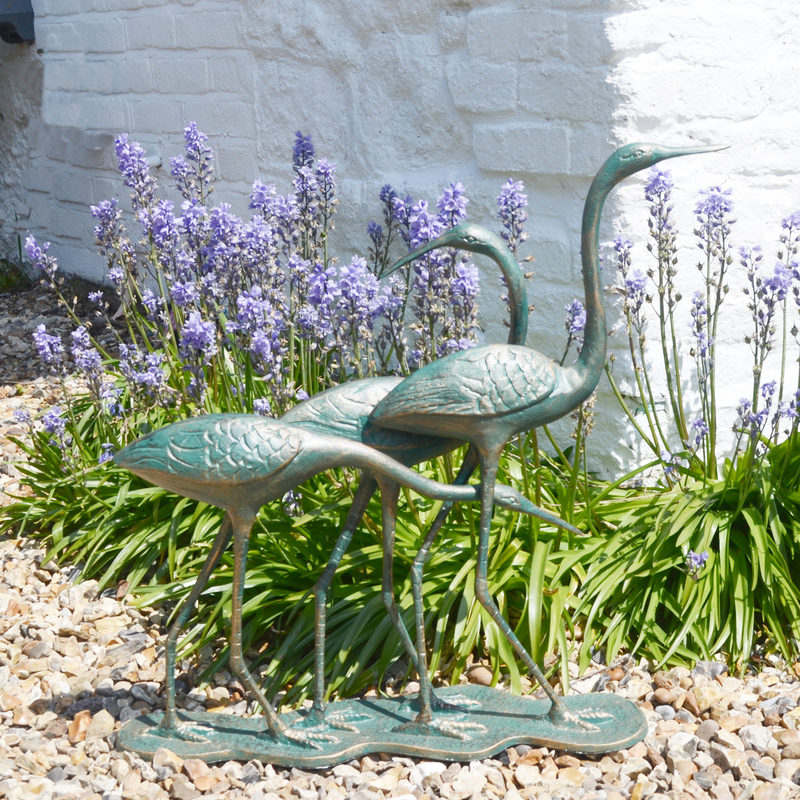 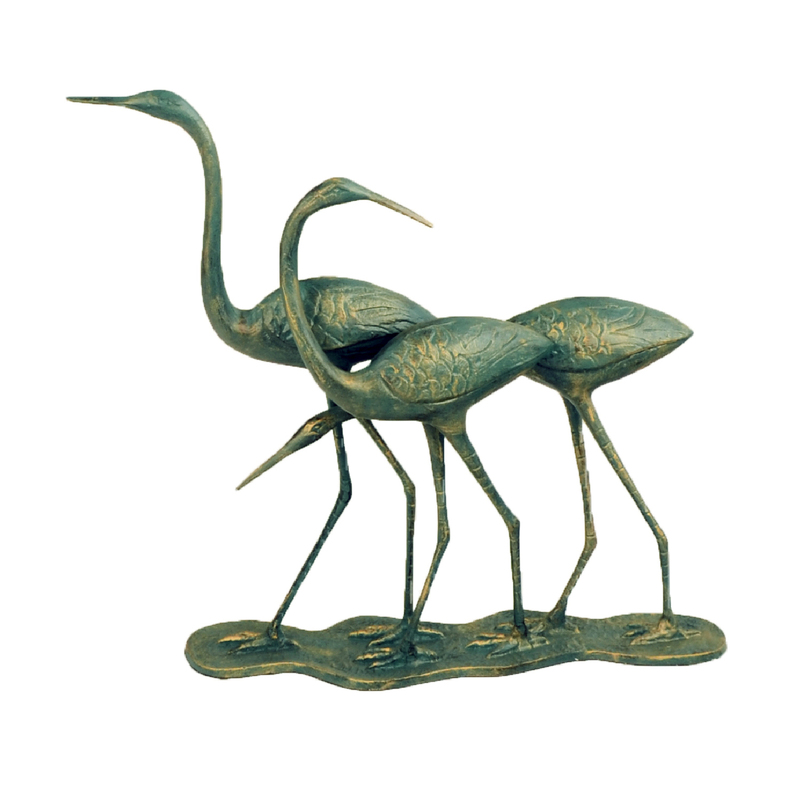 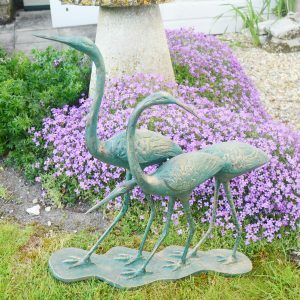 The family of three Egrets, standing on a single base, cast from aluminium, and finished in an attractive Verdigris and bronze effect. 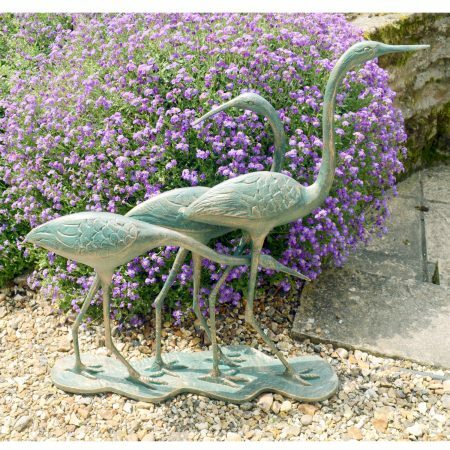 The family of three Egrets, standing on a single base, will add charm to your garden, especially if you have a pond to site them by, fish and frogs being their staple diet! 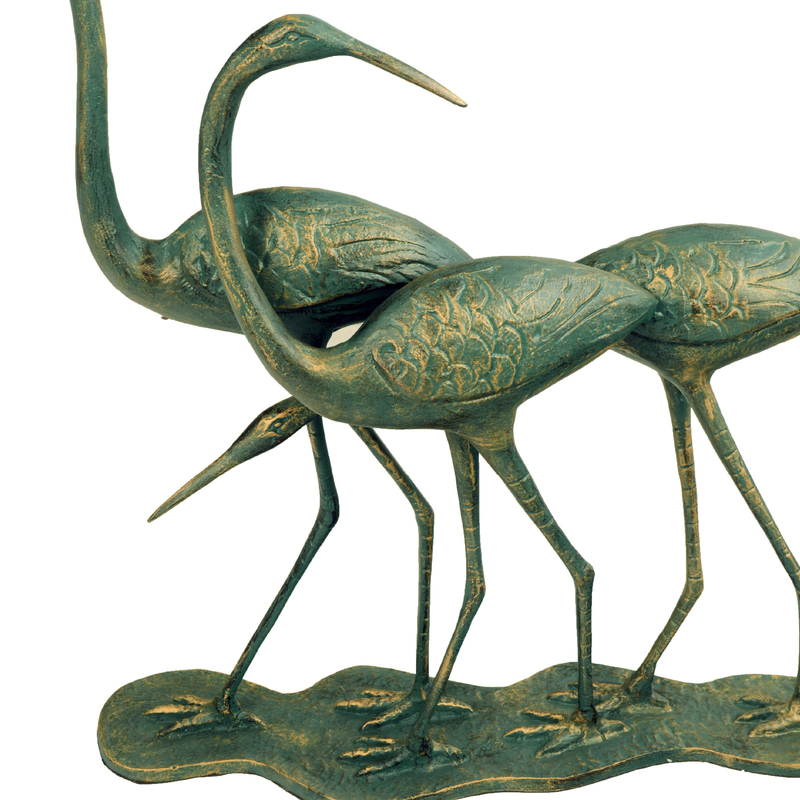 The tallest egret is 57cms. 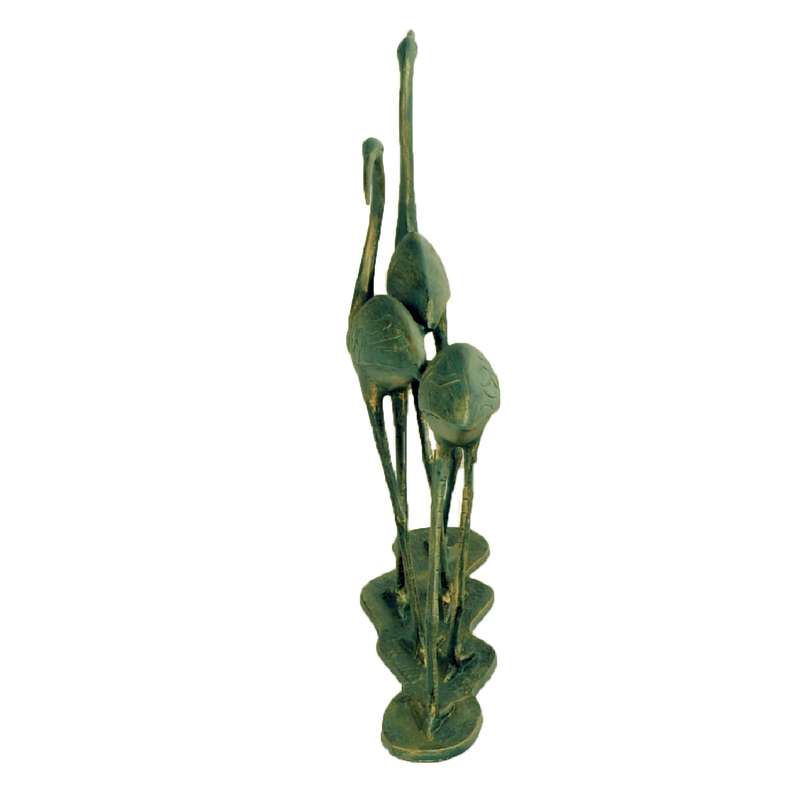 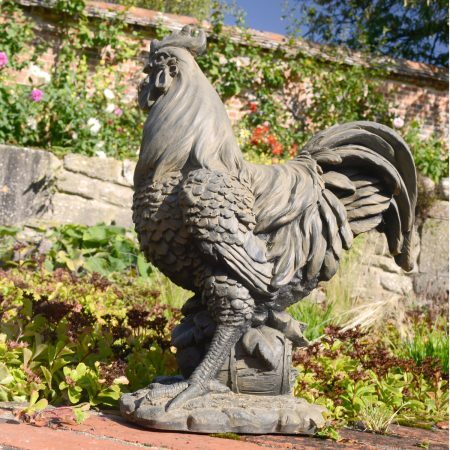 high, and they are cast from aluminium and finished in a lovely Verdigris effect with a subtle hint of bronze.